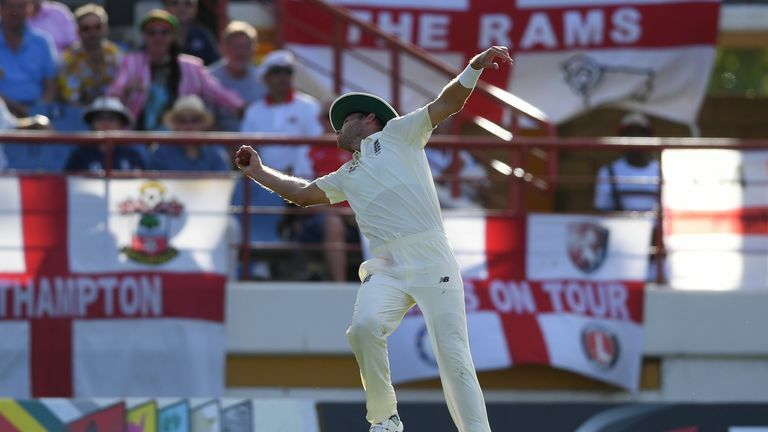 Stuart Broad took a sensational one-handed catch during a dominant day in the field for England in the third Test against Windies in St Lucia. Alzarri Joseph had slogged spinner Moeen Ali high into the air when Broad, backpedaling from mid-off, threw out his right arm and pouched an excellent take over his shoulder. It gave Ali his fourth wicket of the innings, having earlier had Windies opener Kraigg Brathwaite (12) caught in the deep and trapped John Campbell (41) lbw off consecutive balls before seeing Keemo Paul stumped by Jonny Bairstow. However, the day belonged to Mark Wood as the fast bowler claimed career-best figures of 5-41 in a fiery spell to skittle the hosts out for just 154. 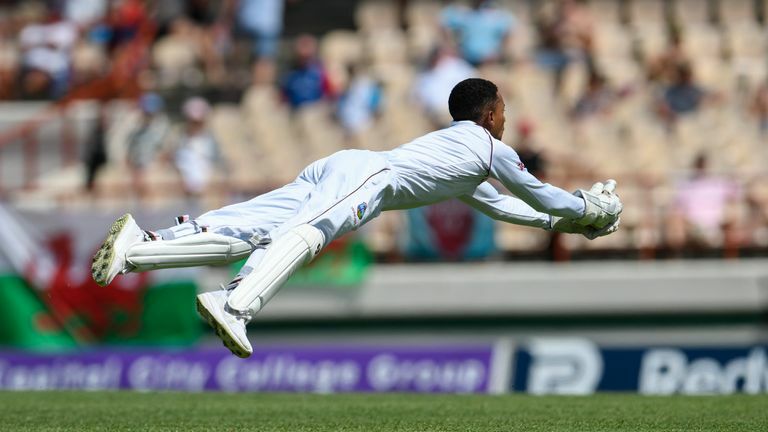 Ben Stokes was dismissed for 79 in St Lucia as Windies wicketkeeper Shane Dowrich took a superb catch on the run.